Maybe you’re a GIS professional who often finds themselves in workflows that require writing some code. Maybe you’re a developer that’s landed a job working with a geospatial company. Maybe you’ve heard about how awesome GeoDevs are, and you’re curious. No matter your reason for being here, Welcome to the World of GeoDev. Regardless of your technological preferences or professional background, knowing about development will help make you a more versatile member of the GIS community. Furthermore, learning these skills enables you to have more control over how your data is handled. This means you can save time and resources while having more autonomy. Like many things in life, there’s no one-size-fits-all roadmap to becoming a GeoDev. The paths to becoming a GeoDev are as varied as the people who follow them. That said, there are three main avenues you can follow, depending on where you are coming from. It’s common for a developer to end up working in a particular field as a result of repeated exposure. You get work in one area (like GIS), learn the terminology and common needs of that field, and tailor your development skills towards that focus. That’s how I became a GeoDev. Want to follow this route? It’s best to get a solid foundation in development first. Figure out what type of work environment you want to work in (such as desktop, client-side, back-end). Once you have, learn some fundamentals and how to develop basic applications in that environment. Once you have a decent grasp on the development side of things, learn some basic GIS and start working on projects for that niche. Are you a GIS professional who finds yourself needing to customize things more and more? You might find yourself on the path to becoming a GeoDev. The good news is you already know GIS workflows, technology, and terminology. The hard part of this path is making sure you get a foundation in development principles and learn best practices. 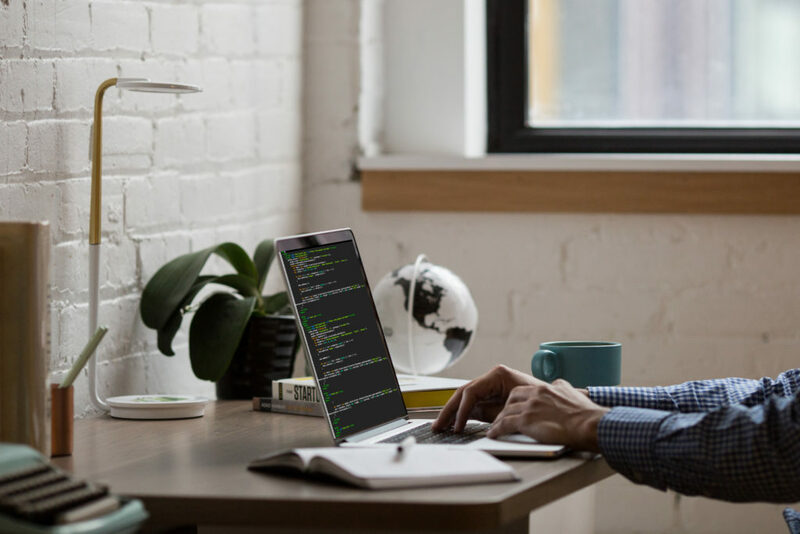 If you have to learn development quickly for your job, it’s easy to look for a quick-fix solution to the problem at hand. However, this makes it much harder in the long run. While some of the basics will be the same, the knowledge you need will vary based on the software development you’ll be doing. This article offers a good perspective on figuring that out. If you’re here because you’re curious about GeoDev and want to learn, that’s awesome! Being a GeoDev means taking maps to the next level. You have the technical knowledge to write applications that help analyze data and present it in innovative ways. It’s no surprise that GeoDevs are part of a field that’s rapidly growing. To be successful, you’ll have to learn the fundamentals of both GIS and development. At the same time, you’ll have the benefit of knowing where you’re headed in the industry. If being a GeoDev sounds like it’s an awesome path to you, then here are some resources to get you started. The first thing I would recommend is making a plan for how you will learn these new skills. This will help you measure your progress and stay on track, boosting your likelihood of success. MapThis! Blog – The good news is, you’re already here! 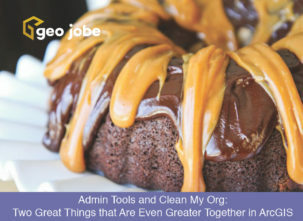 This is the official GEO Jobe blog, where experts from across our company share tips, tricks, and insights to help you across all aspects of GIS. GeoNet – This community includes several subsets for GIS industries, products, or services. There’s even a developer community! Esri Training – Esri Training is an invaluable tool for beginners and experienced professionals alike. It is constantly being updated with materials in a variety of formats. Select a subject area from the landing page, browse the catalog, or register for a free MOOC. The Science of Where Podcast – With most episodes between 15 and 20 minutes, fitting time in to check out this podcast is pretty easy! It’s a great way to learn about practical applications of GIS in the world today. Maps and the Geospatial Revolution – This MOOC is available for free from Pennsylvania State University. It is an excellent primer on basic concepts for cartography and GIS. Technology, techniques, and their significance are all covered. ArcGIS Core Concepts – Get a basic overview of GIS terminology, check out simple examples, and find links to more in-depth resources. Fundamentals of GIS – This MOOC is offered by UCDavis. It’s free if you’re auditing it, or you can pay for it to count towards their GIS Specialization certification. The Mappyist Hour – This podcast features Silas Toms and Todd Barr in what they refer to as “after hours” conversations about working as a geospatial professional. ArcGIS for Developers – This is a great resource regardless of your background prior to joining the GeoDev community. It contains documentation and examples for Esri’s APIs and SDKs as well as explanations of core GIS concepts (like Web Maps or Spatial References). 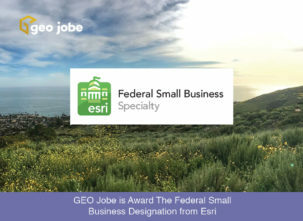 Dojo – Esri is built on Dojo. Knowing how the toolkit works will make developing applications and custom widgets that work with ArcGIS Online much simpler. Odoenet – This blog is put out by Esri’s Rene Rubalcava, who literally wrote the book on ArcGIS Web Development (which is also a great resource). An example of Esri’s training materials from their Geodev Youtube Channel. Regardless of what brought you here, congratulations on taking the first step towards becoming a GeoDev. As technology advances, having specialists who understand how to leverage those advancements for geospatial purposes will become essential. GeoDevs are one of the powerhouses of the industry. Welcome to the team. Courtney is an enthusiastic and motivated GEODev with a focus on web development. She works as a member of our Professional Services team building custom Web Appbuilder Widgets and stand-alone applications. When not working, Courtney relaxes by gardening, practicing shotokan karate, and playing board games.